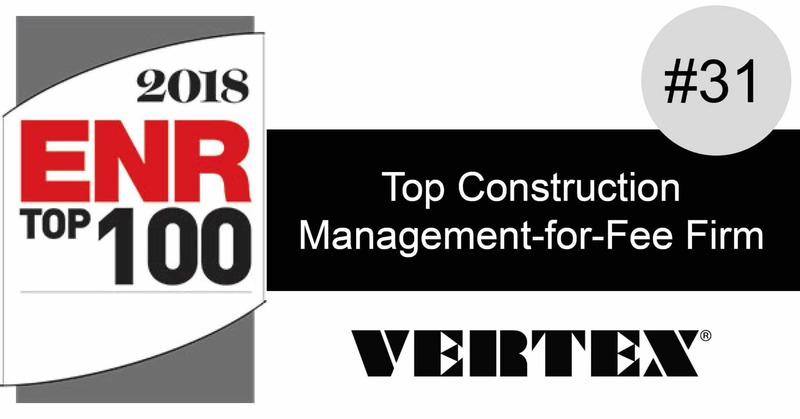 VERTEX is proud to be ranked #31 in ENR’s Top 100 Construction Management-for-Fee Firms. 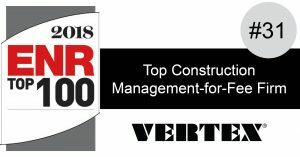 Companies are ranked based on total 2017 revenue in $ millions for construction-management or project/program-management services performed as a professional service for a fee. 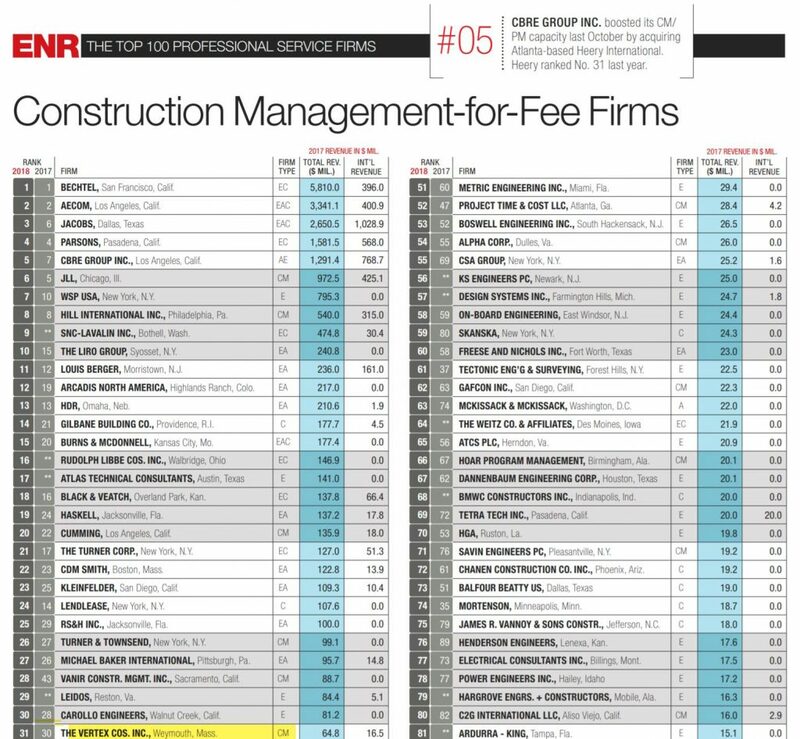 As reported by ENR, the market for professional services remains strong, as can be seen in the results of the ENR Top 100 Construction Management-for-Fee and Program Management Firms list. While revenue for the CM-PM group overall was down 5.4%, to $22.14 billion in 2017, from $23.41 billion in 2016, domestic revenue from CM-PM work rose a healthy 6.7%, to $17.74 billion. However, CM-PM revenue from projects and programs abroad fell sharply by 35.1%, to $4.40 billion in 2017.